Insurance firm BNP Paribas Cardif is calling for ‘a new ecosystem of healthcare’ that sees insurance companies working alongside healthcare companies, investors, researchers, pharmacists and clinicians to improve patient health. The company held a joint event with healthcare consultancy Healthware Group last month to discuss topics such as how healthcare can benefit from insuretech – the use of technology to improve the efficiency of insurance models. 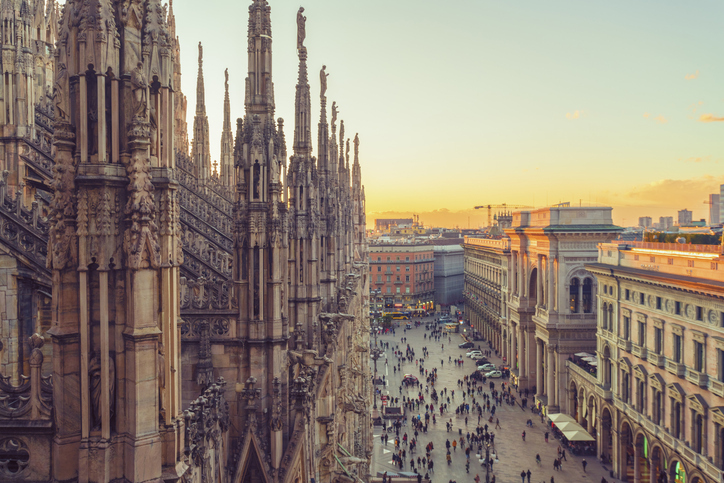 Attendees at the Frontiers Health pop-up event at Milan Digital Week, included speakers from Samsung Medical, Roche and healthtech startuup D-Heart. The insurance industry needs a cultural shift to “put people’s wellbeing first”, said Isabella Fumagalli, head of territory for insurance in Italy at BNP Paribas Cardif. “We face a revolution in insurance industry, which has moved from simply paying out financial compensation for illness, injury or loss towards the higher aim of preventing and mitigating them. Technology has a very important role in this transformation process,” she added. Research commissioned by BNP Paribas Cardif in Italy found that 55 percent of patients were willing to share their personal data with the healthcare sector and insurers through tech devices. The survey of 1,011 people carried out by research institute Eumetra MR also found that 77 percent of those questioned were already using technology to look after their health. “That trust means we can now enhance our social role, along with the best firms in digital health and other stakeholders in the sector, improving access to products and raising people’s awareness of disease,” said Fumagalli. More than $18bn was invested in digital health startups worldwide between January and October 2018 – an increase of 56 percent from the same period in 2017, according to figures from DigitalHealth.Network presented at the Frontiers Health event. The total value of the market could reach $400bn by 2024, it was predicted. “Digital healthcare is truly revolutionary, because it will enable every operator in the sector to re-shape its production processes, its service provision and the ways it can benefit its users’ health,” said Roberto Ascione, CEO and founder of Healthware Group. “Health insurers’ presence in the healthcare ecosystem will make it easier to access treatment and will encourage preventive behaviour,” he added.